Every business situation is both a presentation and a chance to leave a positive impression. 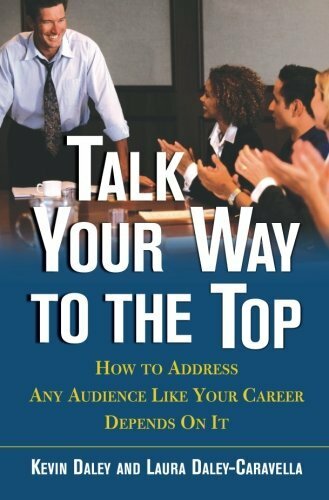 In Talk Your Way to the Top, corporate communications gurus Kevin Daley and Laura Daley-Caravella give readers the know-how to recognize and maximize the opportunities they face throughout the day. Each chapter represents a specific situation, from running a meeting to disagreeing with the boss, and outlines the steps needed to handle it with poise, skill, and success.